««« written by Ana Pereira Neves. This activity is intended for Grade 9 D/P level courses. 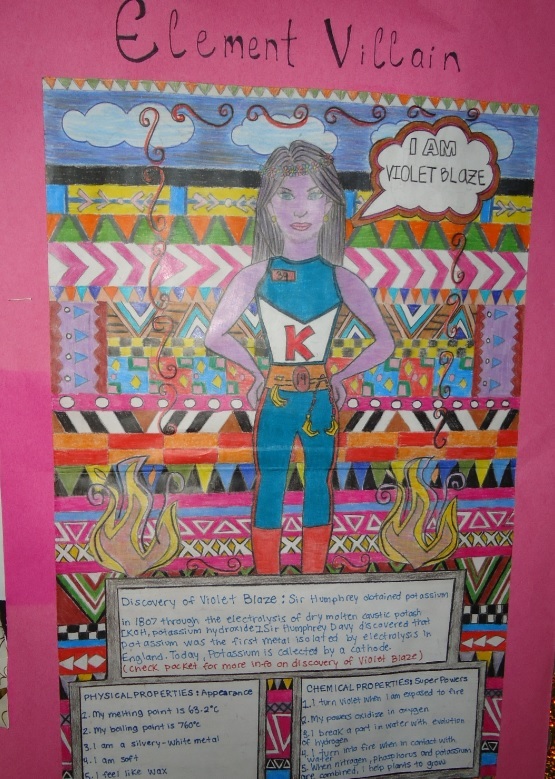 Introduction:In this activity, you will create a poster of a Superhero or Villain based on an element in the periodic table with an atomic number of 20 or less. You are to select an element from the periodic table and research its discovery and properties using the classroom textbook or the internet (see resource list below). Based on your research, create a Superhero/Villain name to describe your element as well as a drawing of your Superhero/Villain on a legal size paper. You are to work in pairs. Below is a list of websites that you may want to use in your research. Ana Pereira Neves is a science teacher at Father Henry Carr Catholic Secondary School. This entry was posted in Gr 9-10 Science and tagged activity, chemical properties, element, periodic table, physical properties. Bookmark the permalink.